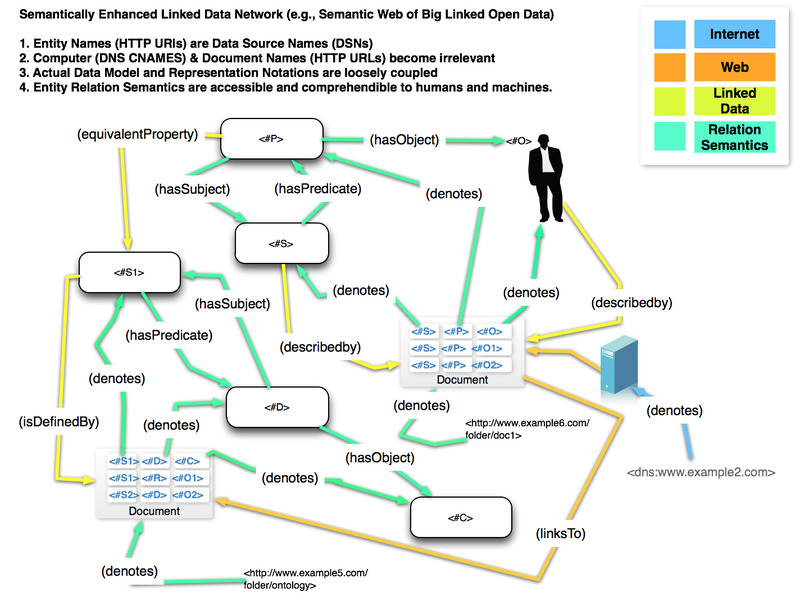 Semantically Enhanced Linked Data Network (Cloud). Webby (or Web-like) Structured Data that's endowed with machine- and human-comprehensible entity relationship semantics. Basically, the meaning of a relationshipo between two entities is understandable by machines and humans e.g., <#SemanticWeb>, <http://dbpedia.org/resource/Semantic_Web>, <http://yago-knowledge.org/resource/Semantic_Web>, <http://rdf.freebase.com/ns/m.076k0>, and <http://www.wikidata.org/entity/Q54837> all refer to (name or denote) the same entity (thing).